My sister reminded me recently of the watermelon jelly mum used to make when we were children. As she is older than me I had to get her to explain. It was a three layer jelly: red, white and green exactly like a watermelon. And also perfect Christmas colours. Prepare packet jelly as per instructions on box. Make one layer at a time and allow layer to set before adding the next layer. Make sure you allow the second and third mixes time to cool before adding to previous set layer. Heat coconut milk in a saucepan over medium heat for 3 – 4 minutes. Do not boil. Set aside. In another saucepan, add 1/2 cup water and sprinkle over gelatine. Heat over medium heat for 3 – 4 minutes stirring until gelatine has dissolved. Pour in warm coconut milk. Add sugar and continue stirring until sugar has dissolved. Remove from heat. 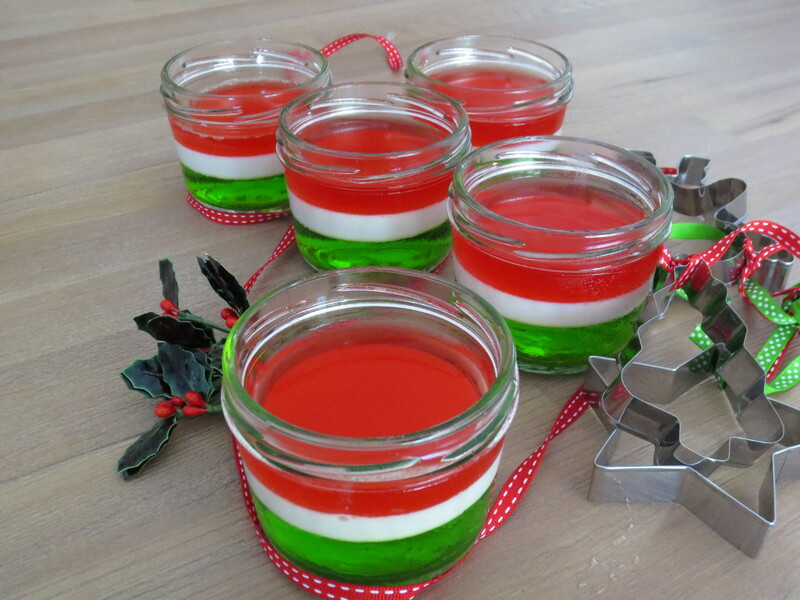 Pour into a bowl and allow to cool down before layering coconut jelly mix on top of set green jelly. My goodness, those where frantic days. Since then, he has had many challenges. He went on a two night Geography Excursion with a teacher who thought that Kieran’s gluten free requirements would be met with a dropping of the student group at KFC and McDonald’s. When we explained that this would mean Kieran would only have the option of chips and salad, this did not phase the teacher. When we explained that Kieran’s reaction to eating two gluten cracker biscuits would be two hours of vomiting, the teacher thought we were overreacting. We packed Kieran off with gluten free cereal, a frozen pasta dinner and peace of mind that he could get a gf pizza at Eagle Boys. McDonald’s also was the preferred option for lunches, so Kieran ate from his stash of gluten free snacks when hungry. It was a catch 22 situation, our son did not want us to push the issue with the teacher, he did not want to be embarrassed. And I am sure the teacher asked, in front of all the students, “now Kieran do we need to take you anywhere special for dinner/lunch” to which our son would have replied quietly, “No I will be okay”. Our son got by, and got by safely. We had to let him find his way through the problem which he no doubt did. 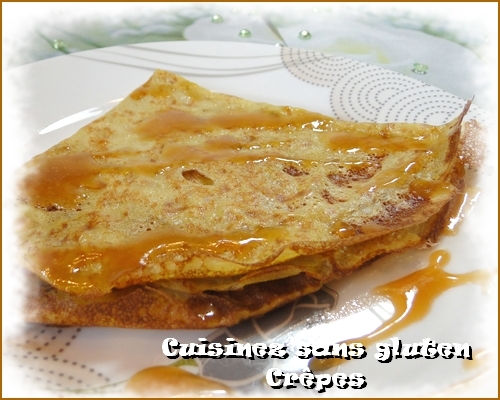 Last week the French class had a lesson cooking pancakes and crepes. In the past, Kieran has stood back from this activity as I think he didn’t want attention drawn to himself. This time around, he asked me if I could put some gf flour in a container for him… “there is a separate pan and I will wash the utensils” he said, even before I could put my questions out there. Gluten Free is okay and his peers knowing that he has to eat gluten free is also okay. I am assuming that there might have been a conversation about coeliac disease and gluten free because he came home and mentioned to me that Nutella was gluten free wasn’t it? The conversation continued along the lines of cross contamination and he said he really didn’t like Nutella anyway. It was his way of telling me that he does read labels and it was okay to do so with his peers. 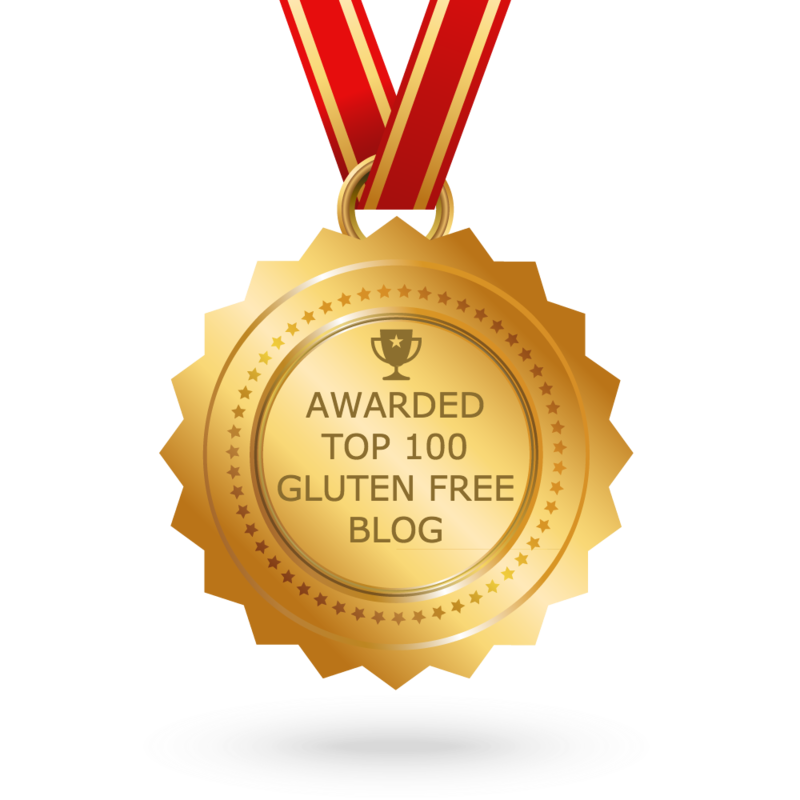 I think that most people with Coeliac Disease can relate to my stories. 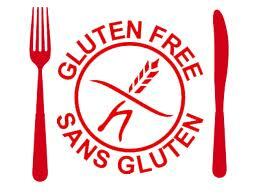 Just when you think you have all bases covered regarding your gluten free diet, another situation or social setting is thrown at you to challenge you. There are times when it is just too awkward to ask the question “Is this gluten free?” and you manage to get by and there are other times when you feel within your comfort zone and eating gluten free is not a problem nor is drawing attention to yourself about your dietary requirements. Increasingly, my son finds himself inside his comfort zone when food is concerned and I think that on his next school excursion he will be better prepared to be honest with his teachers about his food requirements. For now, I can see how much progress Kieran has made in 12 months. I clearly remember the day he came home from a Hospitality class and said ” the sausage rolls we made were very nice”. I asked him at what stage did he not think about the flour that was used to make them and he assured me that the flour was wholemeal. It was a hair pulling moment in those early days. Bit by bit, he is more confident within himself and this makes him more confident about his condition. He is off to another social gathering tonight : a meal and a movie and I know he will be able to work the menu out for himself and if need be ask the right questions. After all, with each challenge comes experience and he will use that experience to make the next one easier.